Why Your Business Needs Flood Insurance | The Voss Law Firm, P.C. When you run a business, it can be difficult to know which cost-saving measures will be worth it. Many CEOs struggle with the price of their insurance coverage—especially when it comes to the optional extras—which is why many commercial ventures do not have the flood insurance coverage they need to survive an adverse weather event. Am I required to purchase flood insurance? Some commercial properties that are located in a high-risk flood zones are required to carry flood insurance coverage, such as if the property was purchased through a federally-regulated lender. Am I already covered? Flood damage protection is typically not included in a standard commercial insurance policy such as a business owners policy, and must be purchased separately through a different insurer or as an addition to your regular policy. 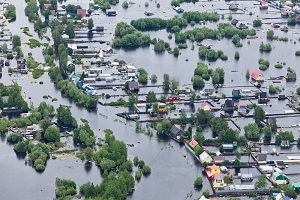 Even if you have coverage for other adverse weather events, the flooding generated by hurricanes or other covered events likely will not extend to flood damage. How much will it cost? All insurance rates are calculated on the degree of damage risk, which for flood insurance means your business location and weather patterns. Your insurer will assign you a rate based on your location on the flood plain map, as well as how much inventory is contained in the building and where in your building your inventory is located. What isn’t covered? Most flood insurance policies do not cover losses to property outside the building, such as landscaping, signage, driveways, or commercial vehicles Business interruption losses are also typically not covered. Even if your business has never flooded before, you should strongly consider making this additional purchase to protect your business. If you purchased a flood policy and your insurer is attempting to deny your claim, fill out the form on this page today to contact the Voss Law Firm or order a free copy of our book, Top 10 Mistakes You Cannot Afford to Make When Filing Your Insurance Claim.